We want a memo, He wants to talk. We want a right or wrong answer, He wants us to learn. We want to follow specific instructions, He wants us to enjoy the process. We want to get somewhere, but sometimes … sometimes He just wants to take a walk with us. Now before I go any further, I want to acknowledge the biblical concept of servanthood. Paul even called Himself a bondslave to Christ – one who willingly gave his life to the service of another. Jesus was the servant of all. He didn’t come to be served, but to serve. And He told us take up our cross and follow Him. I’m addressing it from a place of identity. So with that in mind, let me ask this question … How do you see yourself? Slave or son? But I got a surprising response. He reminded me that a Father isn’t just delighted when their child masters a new skill, part of the excitement is going on the journey with them and watching their skill and understanding develop and unfold. He told me to quit worrying about getting it all right and to just enjoy the process. Believe it or not, there isn’t always a right or wrong answer. And that’s where we need to understand that we are not just slaves or servants taking orders …. we are beloved sons and daughters and He wants to enjoy a living, breathing changing and growing relationship with us. Consider this … if God just wanted servants who would do whatever He says, why did He create us? He has legions of angels who do exactly what He says!!! He created us in His own image for a much higher purpose. We are not just servants, not just slaves, we are co-heirs with Christ! It is often those who are the most sincere in their desire to only do what He wants that have the hardest time with this concept. It was really hard for me personally when it seemed like He stopped giving me the “right” answers to things. Some years ago when He was first shifting this paradigm for me, instead of getting a sense of direction when I’d ask Him something, I’d hear Him say “What do you want to do” or “What do you think?” I didn’t like it! I wanted to know what He wanted me to do! What I discovered is this–sometimes all He wants me to do is let go of the fear of making a mistake. He wants me to trust Him.He wants me to trust He is walking with me and that He will ultimately lead me. And this is what I hear your FATHER saying to you … He wants you to know how much you already know what He thinks. He wants you to know how much, in many ways, you’ve even begun the think like Him. He wants you to know how much He trusts you. Maybe He wants you to know how much He enjoys walking with you, enjoying the process with you. He wants you to know how much He enjoys watching you learn and grow. He wants you to know how much He just loves to be with you. He doesn’t want you to just be a servant, and He certainly doesn’t want you to be a slave again to fear … He wants you to know that you are His beloved son, His beloved daughter—a coheir with Christ—and that He will always be on the journey with you. Slave or son? I hope the choice is obvious. Here is the podcast link for this week’s devotion: Monday Morning Musings – Slave or Son? Everything there is to know …. Amen! You said so many good things here, Cindy. First, you make an important distinction between our heart to serve and our identity as a son or daughter. A slave serves out of duty and from fear, a son serves out of love from relationship. As you know, I’m convinced that part of our problem with our understanding on being a son or daughter is because of what we’ve been taught about our heavenly Father. We’ve been taught that He’s is very disappointed and angry with us, and Jesus had to placate His anger. That’s been the gospel message by which many came to Christ. Jesus stands between us and this angry Father. No one wants to be intimate with someone like that! It leaves us on the outside, having to perform like a slave in order to make sure God is still okay with us. Pretty sad, really. That is so important to understand! 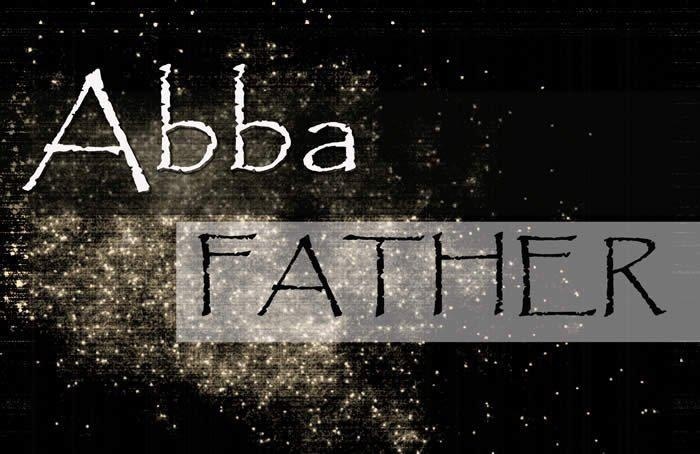 Enjoy the process with your Abba! So, so good. And so well said! 🙂 Blessings. Love it. Blessed be the God and Father of our Lord Jesus Christ who has blessed us with every spiritual blessing in the heavenlies in Christ…from Ephesians… Not only a son or a daughter but coheirs with Jesus.